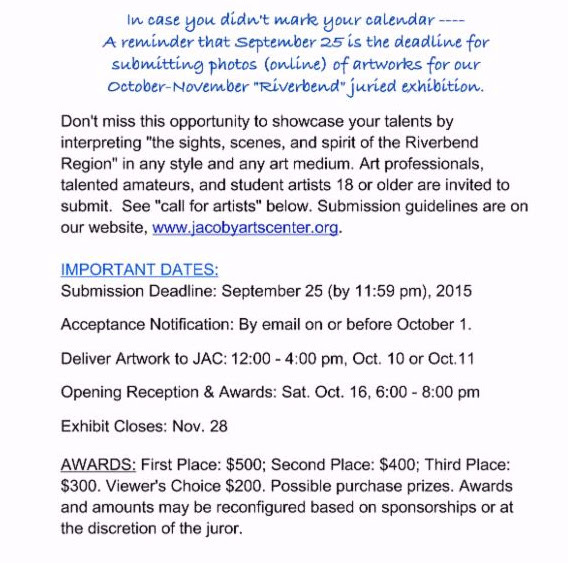 “Riverbend” show submissions due 9/25/15. 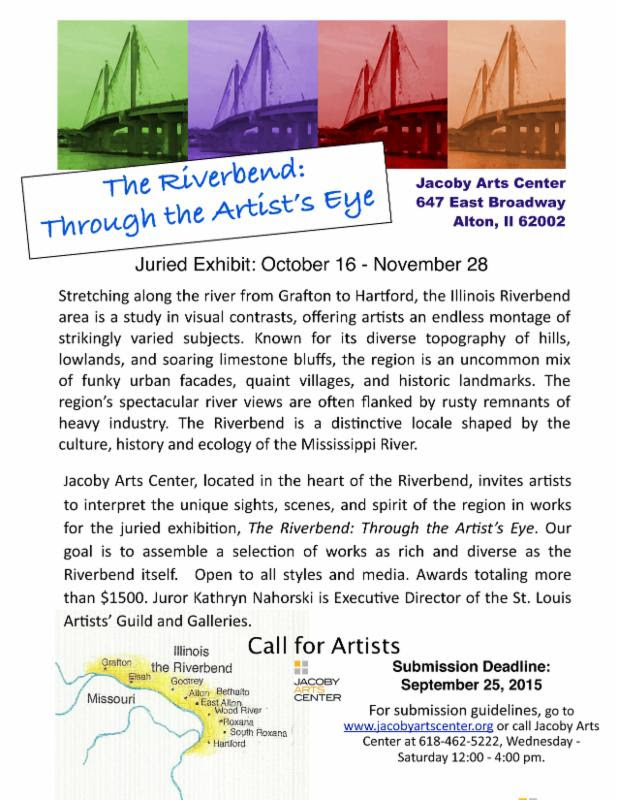 Still time to create your “Riverbend” masterpiece… ! !